Several things occurred during leave. Within a day or so after arriving home I called my former roommate and buddy “Dave” whom I had known since the 2nd grade. We decided to go see a movie in Hollywood. In those days films played in Hollywood during the first month or so before being released to local theaters. He brought his girlfriend and we went to a matinee. I think it was a James Bond film but I can’t be sure. After the movie we were crossing Hollywood Boulevard and a car went by and either it backfired or a firecracker was tossed out the window (remember it was just after the 4th of July). Dave and his girlfriend looked around and finally located me across the street lying flat on the pavement behind a mailbox. They laughed: I didn’t think it was funny. About six months to a year after graduating from High School Dave approached me and wanted me to join the Air Force with him and go in on the “Buddy System.” We would go through training together and be assigned the same duty stations. I declined. Dave spent two years in Germany and one year in France. After his four years we met again and became roommates until I was drafted. About a week after arriving home I was looking to buy a car since I had sold everything I owned prior to going into the Army. 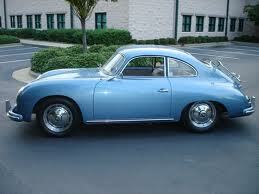 A neighbor up the street had a pristine 1956 Porsche 1600 Super for sale. I bought it. I had no real need for money in Vietnam so most of my money went on an allotment home to my mother. It was enough to buy the car and leave me with a couple of bucks. I asked Dave if his girlfriend had any friends that I could date since I had lost all contact during the last year and a half with the female persuasion. She had a friend and a date was made with “Leslie” for a Saturday afternoon. After I met her and picked her up we headed to a large bar in Glendale named “Under the Ice House.” It was literally a basement under an ice house. It was similar to what the Hard Rock is today. Memorabilia was hanging from the walls and ceiling and they had a stage where bands would play. You also threw peanut shells on the floor. We ordered a pitcher and started drinking. Now Dave was 6’6” and a former football lineman from our high school and could be very intimidating. After a while and another pitcher of beer Dave started tossing peanut shells at me, so naturally I started tossing them back at him. I started soaking peanut shells in the beer that had spilled on the table. I grabbed these beer soaked peanut shells and threw them at Dave. They stuck to his forehead and started falling across his face. Dave then threw a glass of beer in my face so I retaliated by standing up and pouring a pitcher of beer over his head. Well, that ended the date and I drove Leslie home early making a great impression on her about myself.